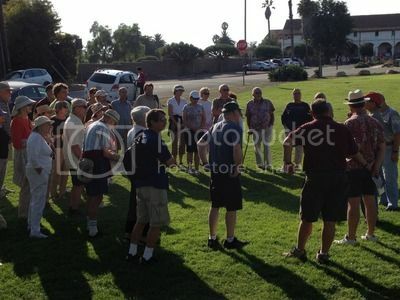 Last night’s Walking Wednesday tour was one of our best yet, drawing a crowd of 40 people who wanted to learn more about the Mission area and what can be done to hopefully make Mission Canyon a safe passage for all. COAST would like to thank the Concerned Citizens for Safe Passage for leading such an enjoyable, informative walk. If you would like to find out more about Safe Passage and the work they’ve been doing, click here. Our next and final walk will be on September 26 with Dennis Allen of Allen and Associates. We hope you can make it! This entry was posted on Thursday, June 28th, 2012 at 11:42 am	and is filed under Archive, Santa Barbara Walks. You can follow any responses to this entry through the RSS 2.0 feed. Responses are currently closed, but you can trackback from your own site.